I never post about fashion I know, but I actually adore fashion, daahling, so it seems time to share a little bit about my personal style. I’m at that wonderful age now, where I dress for me, and couldn’t give two hoots about what anyone else thinks. I know what suits me, and I know what to keep clear of. My style generally borders on 70’s rock chick with a bit of 40’s vintage style thrown in the mix. A bit of a hotch potch tied together with winged eyeliner, messy hair, biker jackets and lots of silver jewellery. Skinny black jeans, buckled boots or battered Vans are my staples, thrown together with a blouse or a good sweatshirt. I took my daughter into H&M the other day and we had a good rummage amongst the rails – and I left the shop with an emptier purse than I went in with. 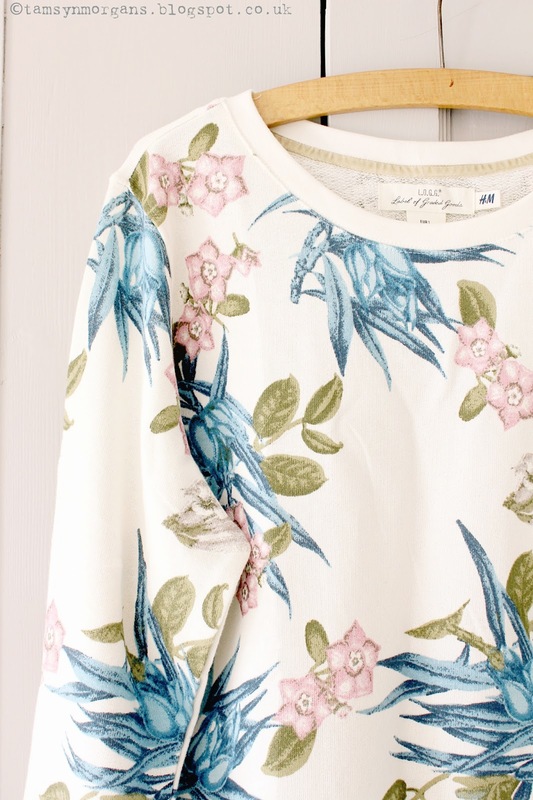 They have some really lovely things in there, and I had to have this oversize floral print sweatshirt. It reminds me of 1930’s wallpaper (how lovely would this be as wallpaper?). So it came home with me, along with a star print jumper (I love stars on blouses or tops). My daughter chose a cream blouse with stars on (like mother, like daughter?!) and some cute little cut off denim dungarees. An added bonus of this top is that it looks very pretty hanging in my bedroom, so I had to take a snap to share it with you! 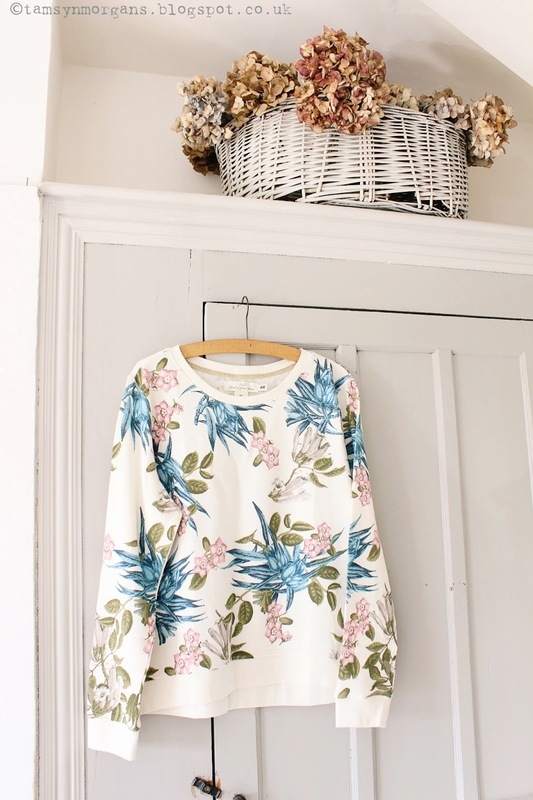 What a pretty blouse. I haven't been in H & M in a while. I bet this looks great on you.